Painted and unpainted frames wait for build-ups that will never happen in the former Aegis Bicycle factory in Van Buren. 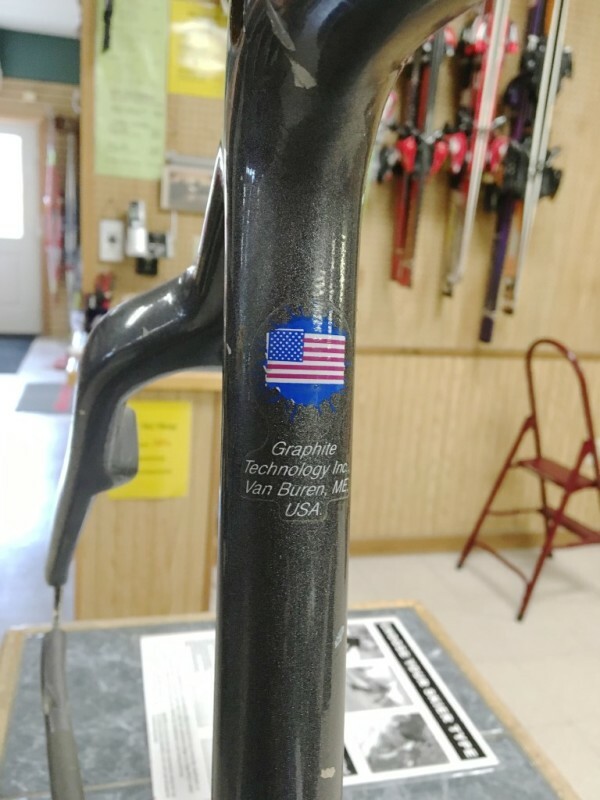 Lyn Michaud, owner of the Ski Shop in Van Buren, was a dealer for locally made Aegis Bicycles for years. The manufacturing company went out of business several years ago, but Michaud still has one of the original frames. There are hundreds of unfinished bicycle frames still in the old Aegis Bicycle factory in Van Buren. 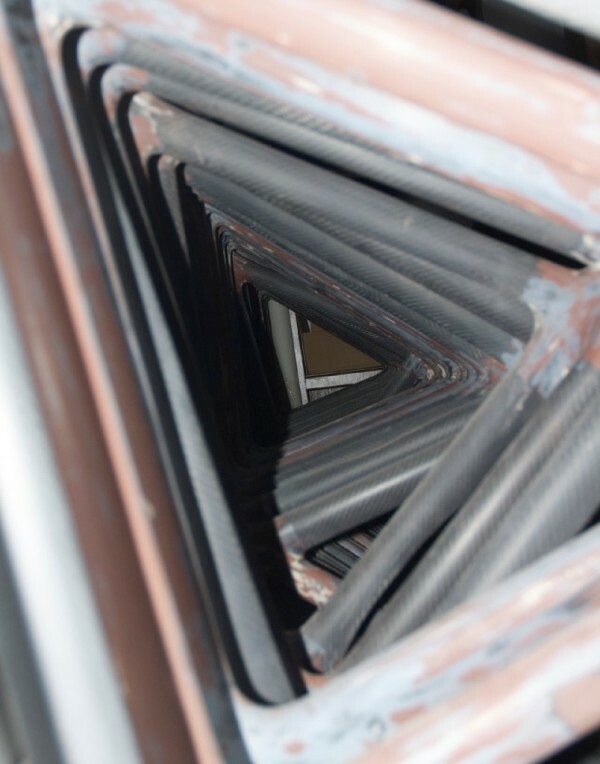 Rows of unfinished carbon fiber bicycle front forks hang in the old Aegis Bicycle factory in Van Buren. John Desjardins still has his Aegis Aero Svelt that is among the thousands he helped build at the former Aegis Bicycle factory in Van Buren. 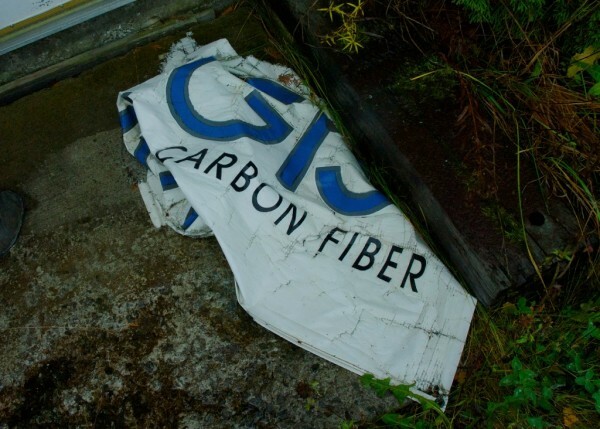 An old banner is the only thing outside of the former Aegis Bicycle factory in Van Buren that indicates the cutting-edge bike frames were once made there. The former Aegis Bicycle factory in Van Buren once turned out hundreds of high-end, carbon fiber bicycle annually. There are still signs of the one-time successful bike factory. For more than two decades, elite and serious riders around the country looked to northern Maine and Aegis Bicycles for cutting-edge technology. For decades Aegis Bicycles were hand made in Van Buren. VAN BUREN, Maine — In northern Maine, tucked away on a back road, is an old building filled with the dusty artifacts of the early days of modern bicycling. The building and its contents hail from a different time, when the small factory in Van Buren, Maine, was on the cutting edge of bicycle frame manufacturing. 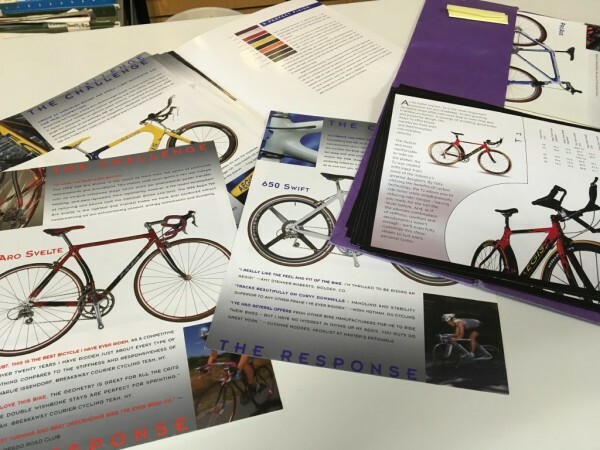 For more than two decades, a combination of lightweight durable materials, unique design and quality assurance ranked Aegis Bicycle frames among the cycle components to own for serious bicycling enthusiasts, triathletes and racers. But costs, competition from larger manufacturers and riders demanding increasing lighter-weight frames eventually became too much, and the company went out of business in 2010. Today, that factory is locked tight, and the current owner uses it for storage. But much of what made Aegis Bicycles so cutting edge is still there. Machines that pressed molds and turned out components for frames stand silent and idle. Some unpainted bicycle frames line the walls, others sit in packing boxes waiting for build-ups that never happened. 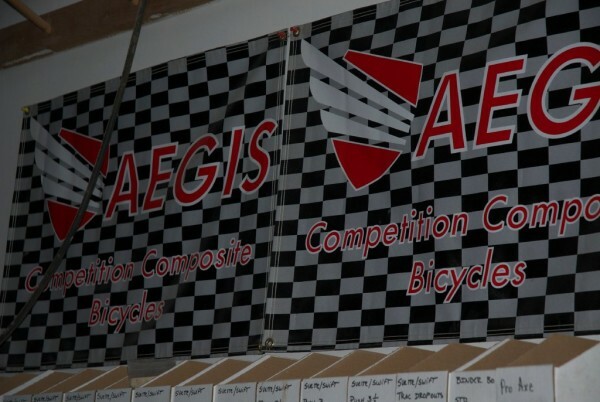 Banners and signs for “Aegis Bicycles: Competition Composite Bicycle” hang askew from the walls over bins of custom-designed and fabricated parts. For years Aegis enjoyed a solid reputation in the cycling world, one derived from pioneering work in composite materials. 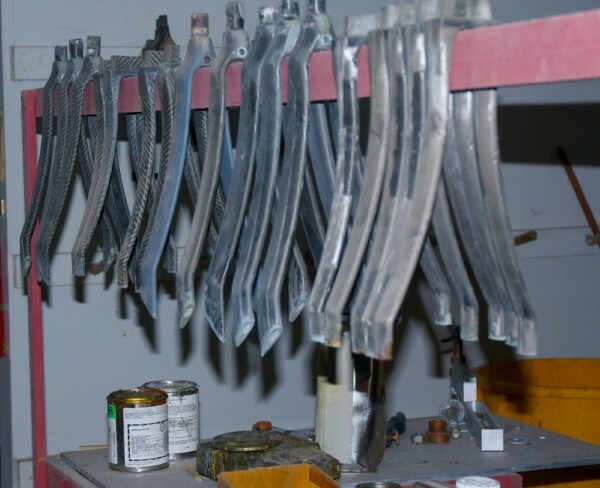 The forerunner of Aegis was founded in 1971, when brothers Levite and Delano Duplessis of Van Buren created Graphite Technologies Inc. and developed the methods, machinery and tools to produce a hollow graphite tennis racket. Two years later, Rossignol Ski Corp. contracted with the company and employed its engineers to manage a tennis racket division in Van Buren. In the mid-1980s GTI split from Rossignol and turned its attention to the cycling market after losing market shares to cheaper Asian-made rackets. Initially the company, still operating at GTI, produced carbon fiber tubing for bikes, which it sold exclusively to Trek Bicycles. Soon, however, GTI improved the design of the carbon bicycle frame and ended its relationship with Trek. GTI then began producing its own lines of bicycle frames for Basso, Profile, Peugeot and Iron Horse. In 1993, the Duplessises introduced the Aegis line, changed the company’s name and committed themselves to exclusively producing and marketing their own products. 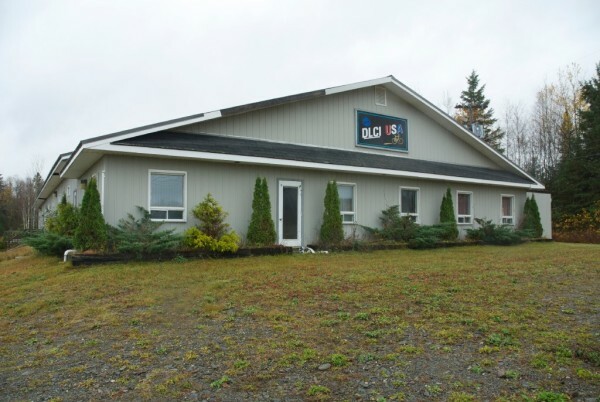 In 1995 the brothers sold the company to Boothbay businessman and cycling enthusiast the late Keith Baum, who operated the business until he sold it to Camden businessman Peter Orne in 2000. Attempts to contact Orne were not successful. Desjardins, 58, was with Aegis from the beginning and said he did everything from manufacturing to marketing to customer service. What made those frames special was a unique design developed at the Van Buren factory that is now the industry standard. For years high-end bike frames were made out of metals such as steel, aluminum or titanium. But in the 1980s Aegis began using carbon fiber — a composite of thin stands of pure carbon — combined with resins to produce a strong, lightweight material that was being used at the time primarily in the aviation industry. “We were the first ones to make a bike frame out of carbon,” Desjardins said. 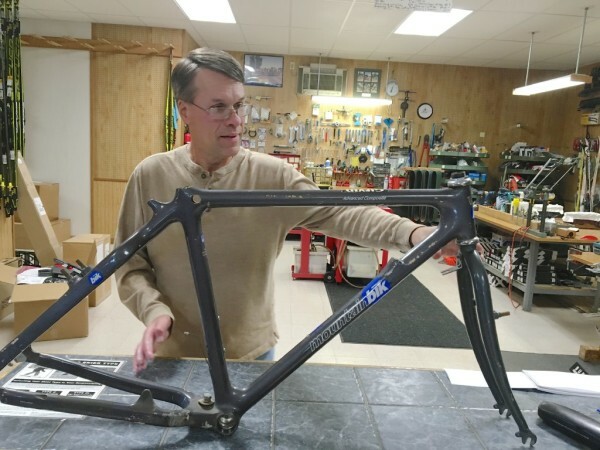 In addition to its light weight and strength, a carbon bicycle frame also dampens the effects of vibration when riding over long distances and produces a more comfortable ride. 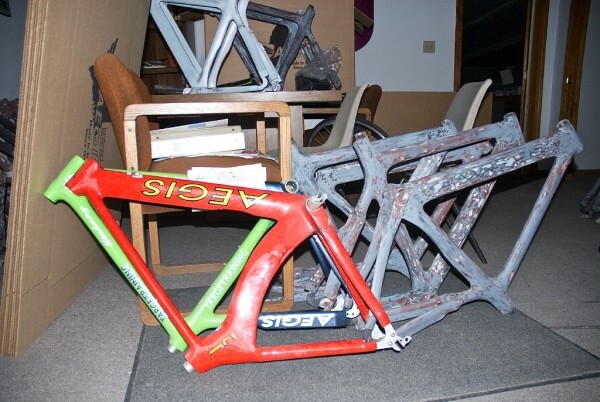 As more cycling companies started jumping on the carbon fiber bandwagon, Aegis kept one step ahead for a while developing what is now known as the “monocoque” frame that was molded in a single piece as opposed to separate sections that then had to be glued together. Over the years the technology was applied to the company’s Aero Svelt, Victory, Trident, Shaman, Swift and Zero models. For a time the West Point cycling team and top triathletes in the country were riding Aegis bikes. The problem Desjardins said, was despite the company’s dedication to producing a quality product, the owners were losing money on every bike rolling out the door. Things really began to fall apart in the early 2000s, he said when the 80 to 90 bicycle dealers with whom Aegis had been dealing started looking elsewhere for carbon-framed bicycles. “Suddenly, no one was calling us,” Desjardins said. Offering a made-in-Maine product was good business, Michaud said, but the handmade frames were not without challenges. 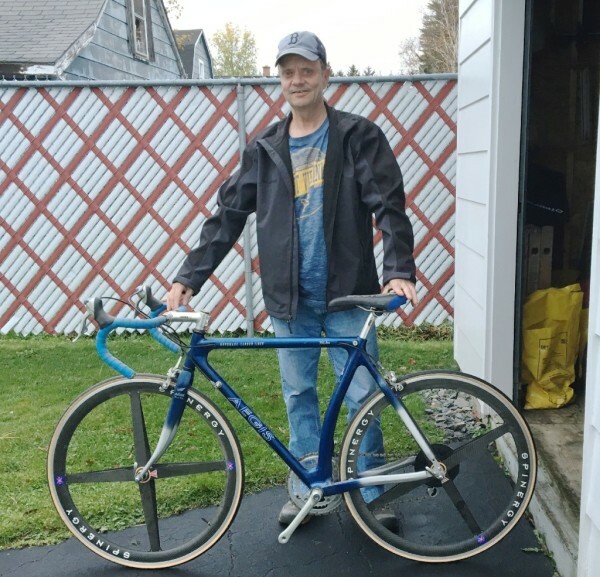 When a customer purchased an Aegis, Michaud said, they got a frame and it was up to them to work with a bike shop to add on all the other components such as gears, pedals, wheels and seats. But sales continued to dwindle until 2010, when the company shuttered for good. There are still Aegis bikes on the road, and riders remain loyal to the now-defunct brand. Bragdon, who said the Victory model Aegis was a 50th birthday gift from her husband, said the locally made aspect was a key selling point. Today, that Van Buren factory is closed and dark, with the current owner using it for firewood processing and storage.